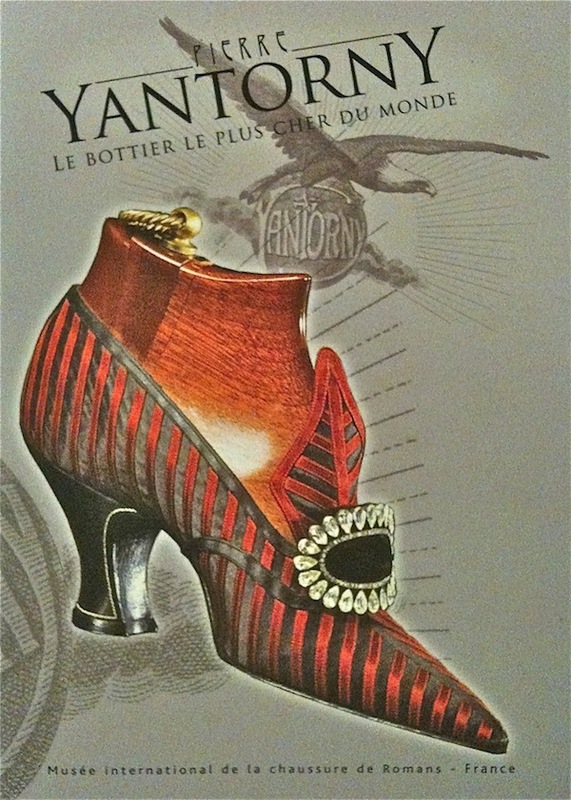 (The shoes) were made by Yanturni, the East Indian curator of the Cluny Museum, a strange individual with an extraordinary gift for making incredibly light footgear that was moulded like the most sensitive sculpture. 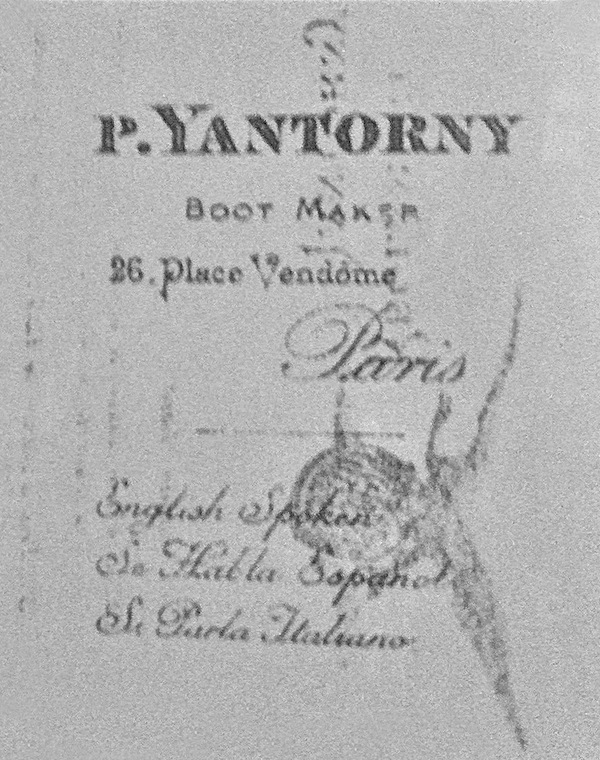 Paolo Yantorny is the master bootmaker of Europe. He is a tradesman unique in the world. In an article which appeared in The New York Times on March 3 last year, it was explained that each client must pay $ 600 in advance on giving an order. No single order for an amount less than that would be accepted. This year the limit is more than eight times in excess of that. December 12, 2016 marks the 80th anniversary of Yantorny's death: time to celebrate and to know him to a greater degree.